As we rush to purchase the perfect gifts for our friends and family, we will undoubtedly find ourselves in a retail store, shopping center or mall. 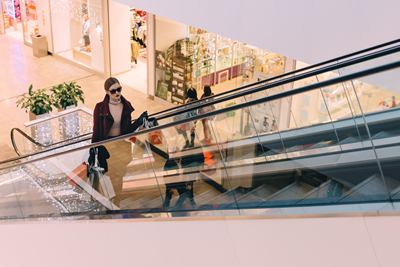 Retail stores, shopping malls, and other public locations are required to keep their facilities safe for visitors. This includes keeping elevators, automatic doors, escalators and other equipment running properly. When these items malfunction, innocent people can be severely injured. Make sure the manager or owner of the establishment is notified of the incident. If you can, take photos on your phone of the scene. If you are injured by malfunctioning equipment in a public place, the owner of the establishment can be liable for damages. Contact Tammy Bowles Raines for a free consultation.